Chloe Ruthven has worked on education projects around the country, inspiring disaffected youth to use documentary as a tool for change. Out of her work as an educator, she made her first feature doc, Mario and Nini in 2008. Subsequent films include Death of a Hedgefund Salesman (2011), The Do Gooders (2013) and Jungle Sisters 2015. In 2011 she set up Otherfield (formally Quadrangle Film Festival) with a group of fellow filmmakers. 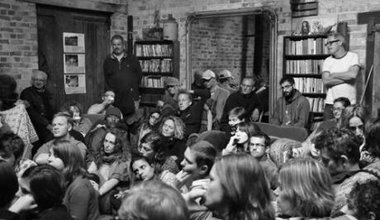 At this gathering of documentary filmmakers, the only thing to pitch is your tent. 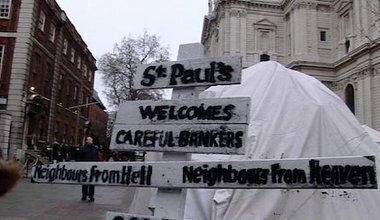 At the height of the 2011 Occupy protests in London, filmmaker Chloe Ruthven started documenting a world where the normal rules of capitalist individualism had been suspended. At the Open City Documentary Festival on 22 June 2016.